Roadway Ads is a one of a kind franchise opportunity that employs state of the art LED Multi screen technology with video and audio capabilities and places these screens on vehicles to transport the advertisers message(s). 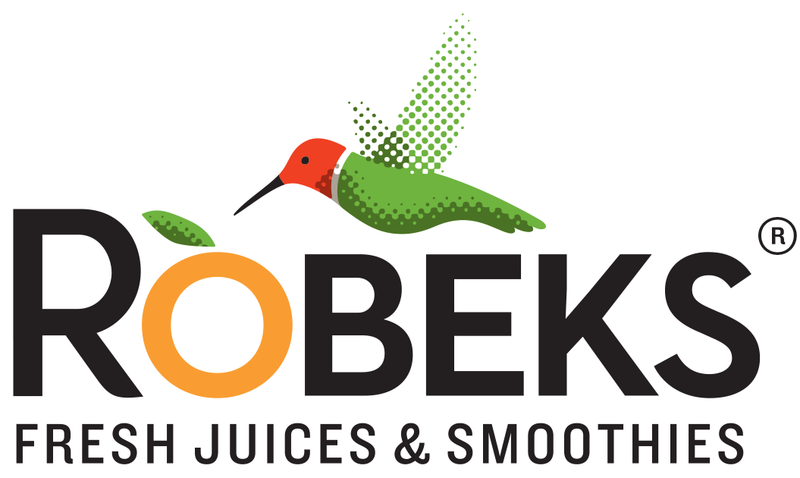 Robeks Fresh Juices and Smoothies offers innovative, tasty ways for people to get their daily required consumption of fruits. As the leading smoothie and juice bar retail franchise, we have over 100 stores nationwide. Join us to have a stake in the $2 billion fresh fruit smoothie and juice industry that helps people live better, healthier lives. $100K liquid capital required. RoboThink is an exciting new STEM edu-tainment franchise that is gaining popularity due to its innovative robotics, coding, engineering and math programs. Our proprietary software and engineering kits, teach kids of all ages to build robots, learn to code and do hands-on engineering projects! Roche Bobois is a French company that sells expensive, upscale furniture. Roche Bobois’s selection may be wide, but it is always stylish and well designed. Items available in Roche Bobois include couches, sofas, armchairs, bookcases, dining room tables, side tables, and cabinets. Roche Bobois has a reputation for having beautiful and comfortable inventory that incorporates the latest in technological and design advances. Moreover, Roche Bobois’s choices allow customers to pick the right blend of shapes, colors, materials, textures, and finishes to create a unique atmosphere in their homes. Additionally, Roche Bobois adheres to environmental standards, selecting materials and business practices that reduce its ecological footprint. 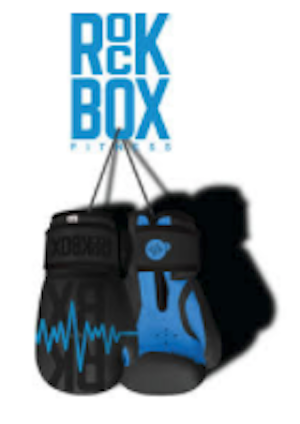 RockBox Fitness boutique studio offers one-hour intense workout classes featuring boxing, kickboxing, and more to create fast and lasting results. Each studio offers the perfect variety of equipment to continuously change the workout to keep it fresh, you interested and your body changing for the better. Rocket Vending , the leader in the vending industry, is proud to have launched an elite, distinctive series of awareness based vending machines which help you to earn cash easily. These machines are easily placed into high traffic locations, they are definite money makers. Whether you are new to vending or a seasoned professional, Rocket Vending provides assistance to you every step of the way to make sure you succeed and you will be on your way to making fast cash! ROCKIN’ JUMP is a family-friendly, indoor trampoline park with over 10,000 sq ft of trampolines with arenas for open jumping, dodgeball, basketball, a foam pit & private party rooms. Rockin’ Jump has proven operational systems which maximize franchise success, strong support and training including data analytics and the $500 thousand of revenue royalty free, and a unique mix of marketing channels. Our vision for Rococo Stone Traders is to create a distribution network throughout the United States and Canada. This is going to be achieved by careful strategic marketing and planning. You can manage your own business and be a part of this expansion! We have developed a system that delivers top quality, finished product to your customers, without compromising on consumer demands or quality. R.S.T. is a company that delivers excellent marketing ability, unbeatable in the industry, with the ability to secure exclusive distribution of the right products - at the right time - at the right price. At Rodeway Inn guests will get a free premium cable channel and can ease into their morning with the complimentary Always Fresh....Rodeway continental breakfast and a free weekday USA Today newspaper. Rodeway Inn hotels also offer the Choice Privileges rewards program. Rodeway Inn built its reputation by meeting the needs of value-conscious guests, and specializes in the unique requirements of the senior travel market. With over 150 locations, Rodeway Inn is an economy brand that enjoys national consumer exposure as part of the worldwide marketing reach of Choice Hotels. Rompin' Rovers is a doggie daycare, boarding and training facility that has turned doggie daycare into a whole new sport. Rompin' Rovers promotes the health and quality of life for dogs of all ages through group exercise, socialization and the reinforcement of basic manners. Rompin' Rovers priority is providing dogs a fun, safe, and positive environment to meet a dog's needs whether that is an outlet for excess energy, developing socialization skills, teaching simple manners, curbing destructive behaviors, reducing separation anxiety or simply providing a dog with loving care during the times their owner is unable to. We use positive reinforcement to get long lasting results. Romp n’ Roll offers kids and their parents a variety of award-winning classes — including music, art, gym, science, dance and more — all under one roof. They operate on an affordable membership fee model, which renews automatically, affording owners a recurring revenue stream. Franchise owners do not need to have education experience. Roni Deutch has been recognized as an experienced tax attorney and founder of the nation's largest law firm dedicated to resolving IRS back taxes. Roni Deutch has always put the needs of her individual clients first, and by so doing has helped thousands of Americans find an end to their IRS tax nightmares. This experience, dedication and commitment to helping American taxpayers can now be found at Roni Deutch Tax Center. Roni Deutch Tax Center is committed to preparing the most thorough and accurate tax returns possible. Their staff of dedicated and knowledgeable tax professionals embodies this commitment to quality and individualized attention. Their tax professionals are able to identify all appropriate deductions and tax credits. They will always work hard to reduce tax obligation and get their customers the biggest tax refund possible. Ronzio has been making pizza in Rhode Island for over 24 years. That is why they have tailored their pizza to fit the taste of New Englanders. Their pizza has a crunchy texture with the cheese cooked to a sweet flavor – and sprinkled with Italian spices and herbs. Ronzio has over 20 locations in the southern New England. At Ronzio they make their dough fresh in each shop several times a day. The sauce is a special recipe developed specifically for Ronzio Pizza, with 100% all natural cheeses. The Pizza is so fresh that it’s being served for school lunch programs in Providence, Cranston and North Attleboro. Room Evolutions – the total approach to transforming underutilized basement space into a bright, warm, comfortable, beautiful basement made for living. The Room Evolutions way is far superior to traditional basement remodeling using drywall, which is a messy, long-term process. Room Evolutions is a complete approach. Our expert craftsmen handle it all, from room design to installation of our exclusive premium removable wall system, to ceiling, flooring, lighting, plumbing, matching wood trim – everything. Cleanly, neatly, professionally. And the transformation from ordinary basement to dream room only takes about two weeks! Rosati’s Pizza is the second largest local chain of restaurants in the Chicago metropolitan area, (behind only Portillo’s) boasting nearly 150 locations nationwide. The chain centers its business around the thin crust variety of Chicago-style pizza. Rosati’s is a franchise, with the largest franchisee being Rosati’s Franchise & Development, LLC, which formed in 1993 and has 27 stores in Illinois. The franchise has also branched out to ten other states including 36 locations in Arizona and nine in Nevada and also including southern Wisconsin, northwestern Indiana, California, Missouri, Kansas, Texas, Colorado, Ohio and North Carolina. Rotelli is a fast-casual pizza and pasta restaurant that offers superior yet affordable products, prepared fresh to order, and artistically presented in a warm, up-scale environment. Whether it's dine-in, take-out or delivery, their menu contains products with mass appeal that are made from only the finest, freshest ingredients and include traditional and gourmet pizza, fresh pasta made to order. Their stores can range from 1,800-2,500 square feet and are generally located in high traffic shopping plazas. Row House is a network of premium boutique indoor rowing studios, delivering a low-impact, high-energy workout focused on generating team energy. Roy Rogers is a quick-service restaurant that is a "cut above" fast food, with a cult-like following. Their concept focuses on quality, variety and choice, targeted primarily for an adult audience. Their favorite foods include the "Big Three" - roast beef, chicken and burgers. Their "Choose Any Side" option includes french fries, baked and mashed potatoes, cole slaw, tossed salad and baked beans. The Roy Rogers Fixin's Bar includes multiple complimentary condiments. Guests customize their own sandwiches. At RSU, we love what we do. For over 30 years now, we’ve been passionate about home remodeling. For us, there’s here’s nothing more fulfilling than helping you transform your house into the home you’ve always wanted. That’s why we say, “Remodel & Renew with RSU.” Whether it’s a whole house remodel, remodeling a kitchen or bathroom, adding an addition or screened in porch, we’ve got the experience and expertise to handle the job. RSU Contractors is a general contractor who specializes in full-service remodeling, construction, renovations and maintenance programs. RSVP owners take advantage of a turnkey business opportunity. Graphic design, printing, mailing, websites, SEO, marketing and more are taken care of. All franchisees need to do is sell this upscale product to local businesses. It can be run from home and there's room for expansion.